The latest in flavor shot dispensing technology has arrived! 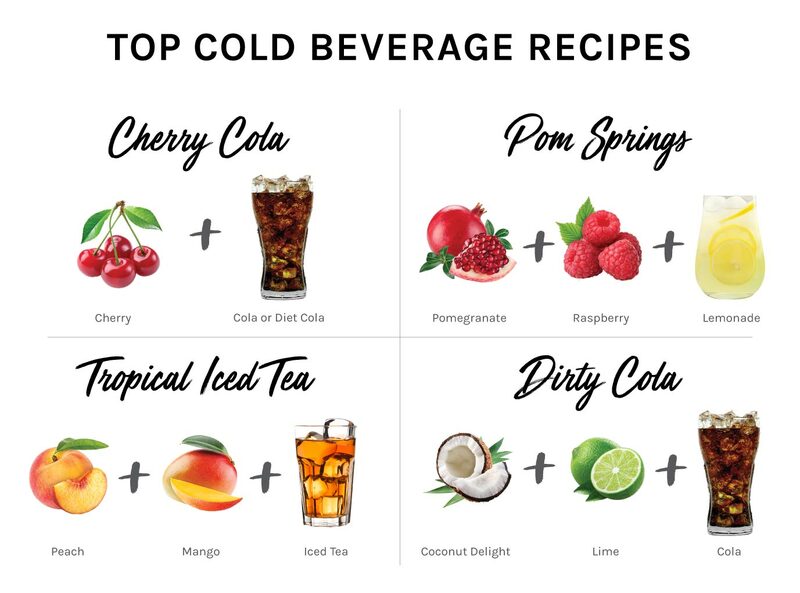 Instantly expand your menu, increase sales, and offer your customers an exciting beverage experience with no equipment cleaning or operational complexity. 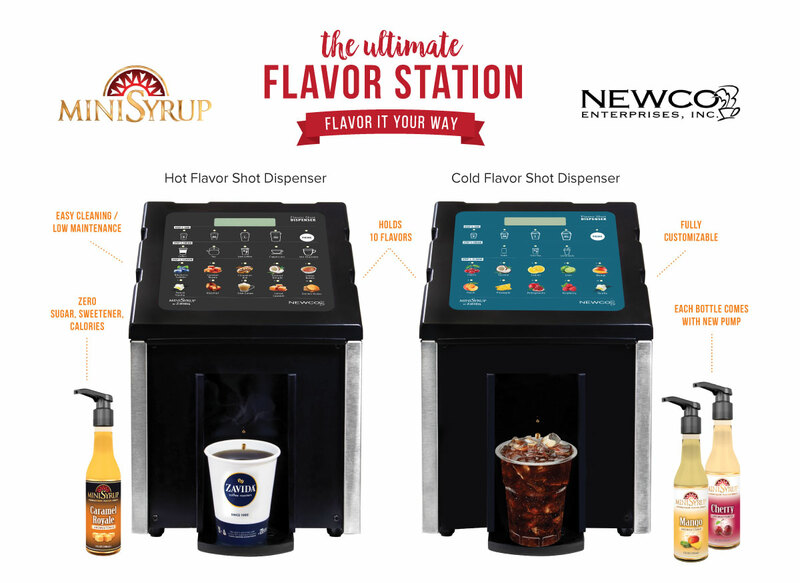 10-bottle automatic Flavor Shot Dispenser from Zavida and Newco flavors fountain sodas, iced teas, brewed coffee, hot chocolate, lattes, and more at the touch of a button. MiniSyrup Flavor Shots are the first completely unsweetened flavoring made to flavor any hot or cold beverage. Available in over 30 gourmet flavors, MiniSyrup gives you total control over the flavor and sweetness of your drink. With 10 gourmet flavors in each machine, the drink combinations are virtually endless. 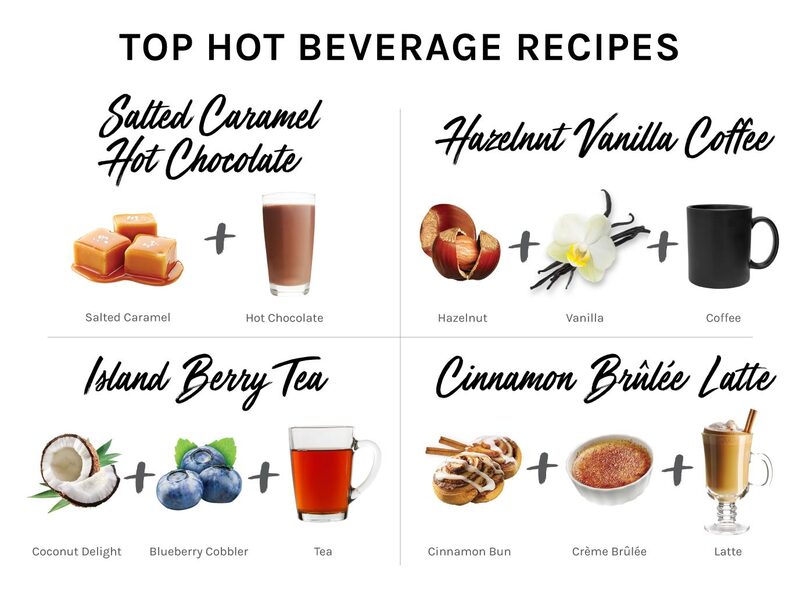 Here are some of our top hot and cold beverage recipes. Please fill out our contact form for more information about the Flavor Shot Dispenser and MiniSyrup.